Microsoft has started rolling out April’s Windows 10 cumulative update to PC users. In today’s Patch Tuesday, Windows 10 users on PCs will receive build number 10586.218, with support numbers KB3147458 and KB3147461. Along with pushing a new build to Windows 10 Mobile users, Microsoft has also started sending out monthly maintenance updates to Windows 10 desktop users, bringing them to Windows 10 build number 10586.218. 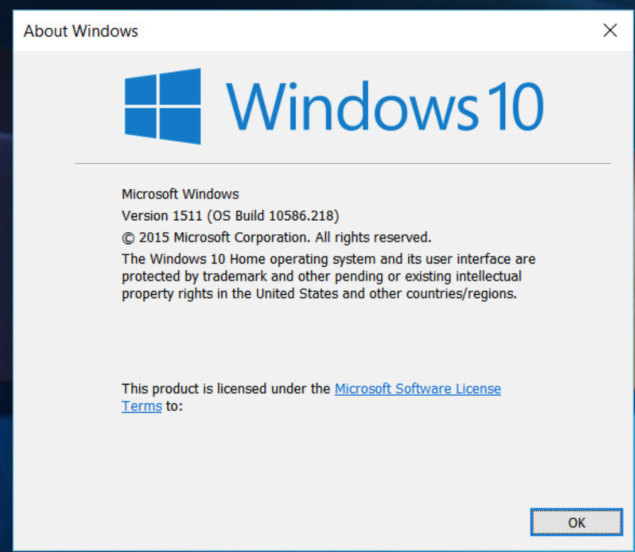 Bringing the operating system up from 10586.165 to 10586.218, the latest update brings many improvements to the OS. You can download the latest Windows 10 cumulative updates from Settings > Update & security > Windows Update > Check for updates. Microsoft’s Windows 10 update team member John Wink tweeted earlier that users facing any issues with the two updates can tweet the problems to Wink.